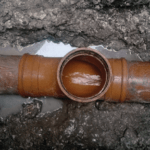 UKDN Waterflow, who provide total drainage solutions to homes and business throughout the UK, has been shortlisted for a further two awards at the prestigious United Kingdom Society for Trenchless Technology (UKSTT) 2013 awards. The awards, which recognise the outstanding contributions made by organisations and individuals to the promotion, use and development of Trenchless Technology in the previous calendar year will be judged by a panel of independent judges, carefully selected to be representative from a broad cross section of the relevant industries. UKDN Waterflow has now been shortlisted for an award in four categories categories. The two new shortlisted awards are for the Davies Street Small Renovation and the Kensington Canal Sewer Large Renovation. At the Kensington canal project UKDN Waterflow co-ordinated emergency protection works for 70 metres of Victorian brick-built sewer running just below live railway lines, after surveys revealed serious movement. With the 2012 Olympics looming the team quickly obtained an emergency track possession, liaised with residents and overcame significant access challenges to remediate the failed sewer. The two new shortlisted submissions complement confirmation of two other shortlisted award categories.  in the Innovation category UKDN Waterflow is shortlisted is for its work on the Kings Scholar Pond Sewer in London. In the Young Engineer category UKDN waterflow’s James L has been nominated. The winners of the awards will be announced at a gala dinner at the end of April. The awards night is later this month.